Product limited to a print run of just 100 cases. All boxes and cases individually numbered. 3 guaranteed printing plates per case, including autographed versions! 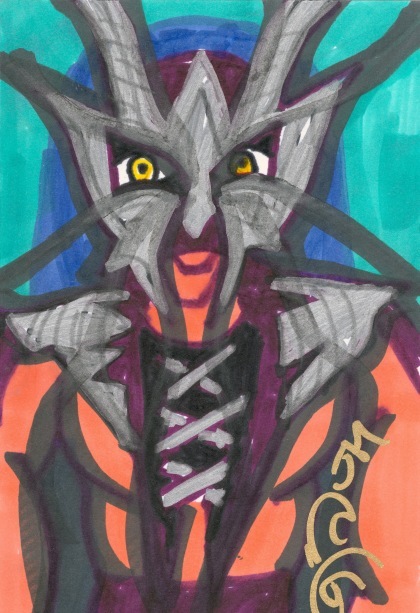 Look for short printed Jeff Hardy art cards including redemptions for the original hand painted versions! 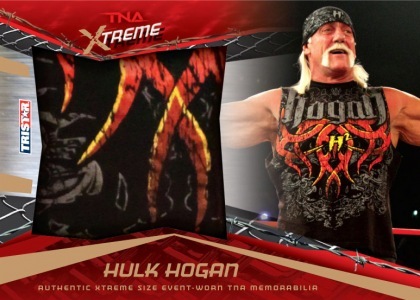 Most hits ever for a TNA product! 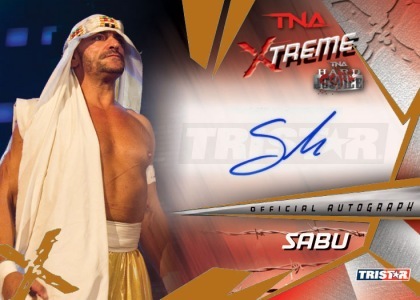 1 EV 2.0 Xtreme Autograph or Memorabilia card in every box! 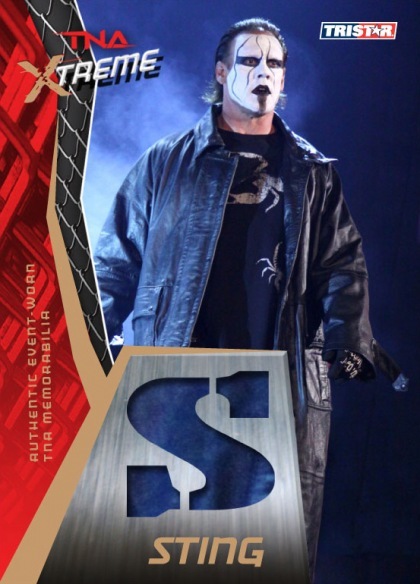 Sting Letter Cards - Collect all 5 event worn memorabilia cards to spell out Sting's name! 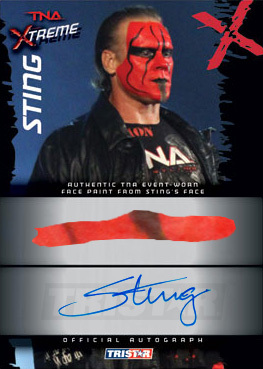 1st ever Sting face paint autographed cards - cards feature an Sting's autograph and dash of his infamous face paint, each card is numbered to 5 or less! Lovely Locks Hair Cards - cards signed by TNA Knockouts Velvet Sky, Angelina Love, SoCal Val and Christy Hemme that include a lock of hair embedded into the card. First TNA cards featuring Mickie James, Al Snow, Cookie, Robbie E and other fresh faces. Legendary names like Hulk Hogan and Ric Flair! 110 card base set including 10 short prints. 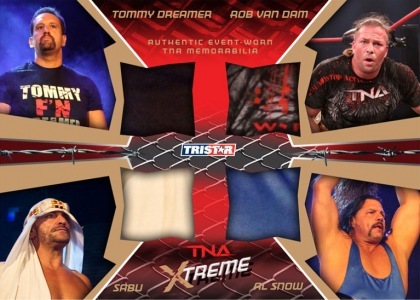 TriStar's latest TNA trading card offering brings plenty of fresh faces and intriguing new cards to the ring this December. 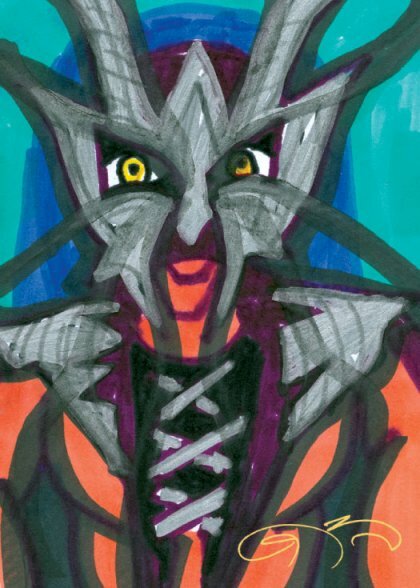 Several new inclusions of intrigue include Lovely Lock's Hair Cards featuring TNA's Knockouts, Sting Face Paint Autos and Letterman and Jeff Hardy Original Art Cards. 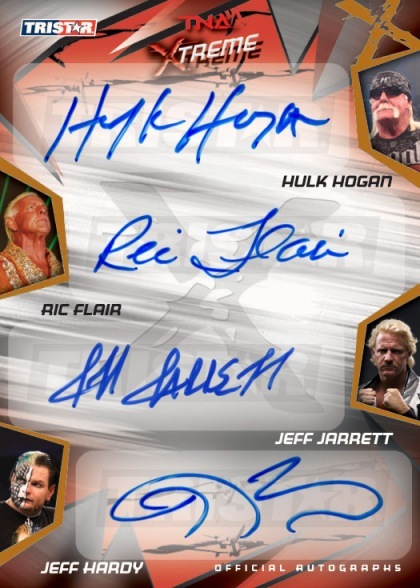 Xtreme delivers 2 autographs, 1 relic and 4 additional inserts/short prints per 20-pack hobby box. 2010 Tristar TNA XTREME Factory Sealed BOX+ AUTOGRAPH !